In the old past, the Pulupandan port which is some 25 kilometers south of the capital Bacolod was the main port of Negros Occidental province. It came to be located there because Bacolod has no way to build a deep-water port the because of the shallow slope of its beaches. And for export of sugar, the Negros sugar barons even developed a terminal in Guimaras before the war where foreign ships can dock and load sugar for export. There was not much controversy was found before in Pulupandan being the main port of Negros Occidental. 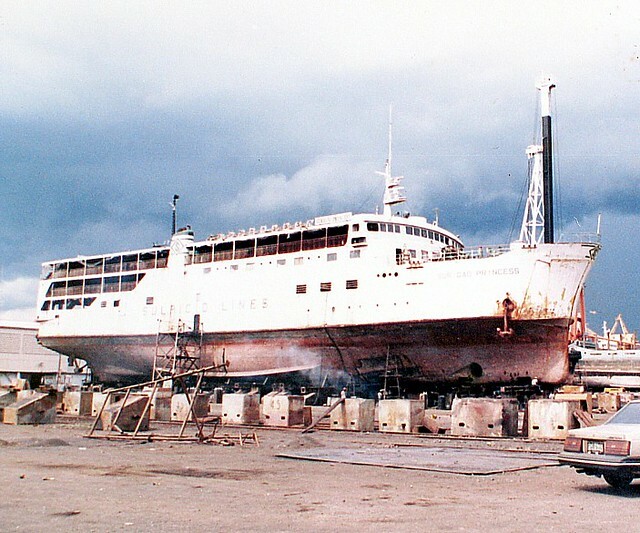 For the short hop to Iloilo the then smaller ferries were able to dock in Bacolod wharf. 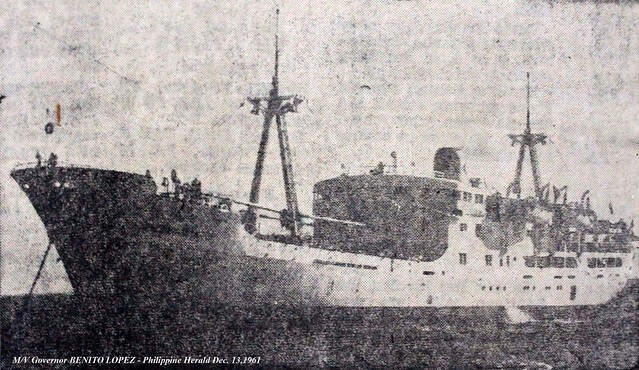 But for liners to Manila after the war, Pulupandan was the port and even the shipping company founded by Western visayas interests which did exclusive Western Visayas routes, the Southern Lines used Pulupandan port. All liner companies then used Pulupandan port. Things changed in the 1960’s when Negros Navigation was already “the” Western Visayas shipping company and the company was plotting its rise and it was loaded with political connections. 1960’s was also the decade when from mainly having small and shallow draft ex-FS ships as the primary workhorse for shorter distances, the ships started to get bigger because maybe the population was growing fast and maybe also the economy was also developing because of the population increase (but of course not in a qualitative way – it was still plow and harrow technology of the old ages and mainly tilling of land in individual plots). For their bigger ships now, Negros Navigation decided to have a new port which turned out to be the Banago port. This port was located in government-owned foreshoreland on a build-operate-transfer (BOT) lease of 50 years. Banago port was a big success for Negros Navigation. How can it not be when it was located right at the capital and commercial center and Pulupandan is some distance to the south? As a private port, Banago was exclusive to the ships of Negros Navigation as they were the owner and operator of that. Pulupandan port was then left to decay slowly and get shallow as the years went by. Being near an estuary did not help its case and in any case as the years went by dredging has to be done on ports so the depth will be maintained as silt will naturally accumulate due both to human and natural causes. The other shipping companies like Sulpicio Lines, William Lines, Lorenzo Shipping and Compania Maritima still used Banago port until the early 1980’s by using the shallow draft ex-FS ships and other vessels of the same size and draft. But in the same decade these types were gone in Pulupandan and there was no way they can still dock their bigger ships there now. And so one by one they abandoned Pulupandan and not even their new container ships called there and Pulupandan completely lost its liners from Manila. 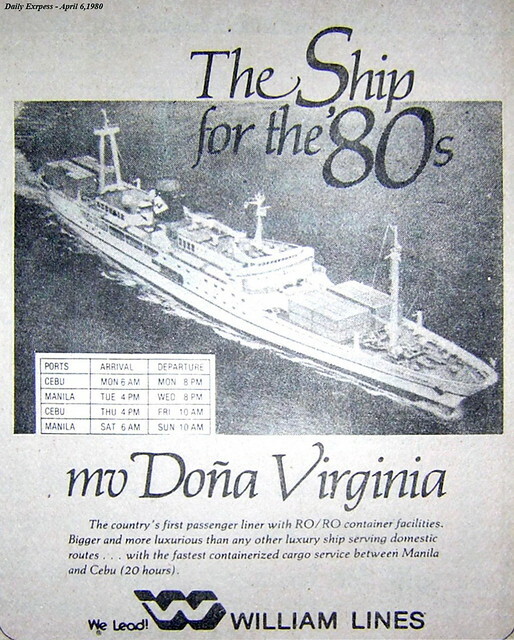 The 1980’s started with Negros Navigation having practical monopoly of shipping to Negros Occidental aside from the occasional small general purpose ship calling in Pulupandan which remained operational and the attempt of Aboitiz Shipping to use Sipalay port in the southern part of Negros Occidental as alternative. So when one has to go to Bacolod by ship (which was much cheaper than the expensive PAL plane then), one then has to go to the nearest negros Navigation ticketing office or booth. But things never lie still and in the 1990s, the Bacolod Real Estate and Development Company (BREDCO) applied for a reclamation permit with the purpose of building a port. That was subsequently granted and the new BREDCO port slowly began to take shape. When it became operational it was obvious that its design and capacity is much, much superior than the Banago port of Negros Navigation. And that was why I wondered why after so many decades Negros Navigation didn’t care to build a port that is comparable and that they will own forever. When the merged shipping company WG&A came into being and it wanted to challenge Negros Navigation in its own turf, they had BREDCO which they can approach. BREDCO port served WG&A ships and in an instant the monopoly of Negros Navigation in Bacolod and Negros occidental was suddenly broken. And the competition situation was WG&A had more and better ships than Negros Navigation. If not for the Negrense’s loyalty to Nenaco, WG&A would have pushed Negros Navigation to the brink more rapidly. In retaliation, Negros Navigation also entered the home turf of WG&A which is Cebu. 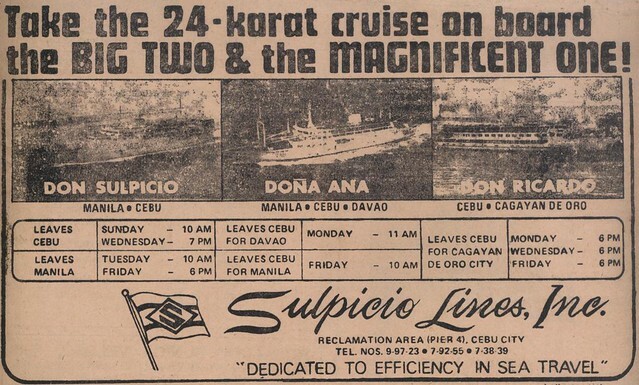 But they were never particularly successful there as they were like facing three combined shipping companies there especially in cargo and let us not forget that Cebu is also the stronghold of the Number 1 before the “Great Merger” which was Sulpicio Lines. Negros Navigation never really the quality of the great liners serving the Cebu route and so competing there was very tough for them. Soon BREDCO portwas a roaring success. Not only did it host liners from Manila but also container ships. With the development of the intermodal system, the Bacolod-Dumangas short-distance ferry route took off and not only that the HSC (High Speed Craft) route between Iloilo and Bacolod really took off also and in its wash it even sank the Iloilo-Bacolod short-distance ferries of Negros Navigation which they served since their inception in 1932. By this it was all too obvious that Banago port is no match to BREDCO port in location and in facilities. Well, it was also even able to develop a grain and an oil terminal. They have it all including all the assortment of charges, too to better fund their expansion. It was obvious then that BREDCO was just a good commercial port and not much more and not even protecting Negros Navigation interests which at the start of the new millennium its fortunes are ebbing fast. Soon Negros Occidental politicians had grumblings against BREDCO to maybe shake up its roost and effect changes. But no dice. BREDCO simply shrugged off all pressures and cases filed. Soon even the Negros Navigation hold on Banago port was gone because their 50-year lease already expired and they have to return the foreshoreland and together with it surrender the port to the government which happened during President Aquino’s term. When the return of Banago port was imminent, the Negros Occcidental politicians tried to have a government port that will compete with BREDCO. But then all their brain wracking produced just one lousy idea, the re-development of Pulupandan port into a port worthy of regional port standards and for this they committed a budget from the peoples’ coffer of over P700 million. And with that money a new modern port rose in Pulupandan. Which soon turned practically into a “port to nowhere”. No liners came nor container ships. Just few occasional small freighters will come just like before. The government tried to sell it as a connection to Guimaras. After prodding, the Montenegro Shipping Lines responded and fielded a Pulupandan to Sibunag short-distance ferry-RORO. But then that solitary ferry is no match in weight with all the HSCs and short-distance ferry-ROROS using the BREDCO to Iloilo and Dumangas routes. There was simply no way to compete with the much superior location and development of BREDCO port. It was just like developing Cavite port to compete with North Harbor or developing Argao port to compete with Cebu port. Now there is pressure to develop a new government port in Bacolod to compete with BREDCO. Huh? I thought it was the mantra of government not to compete with private enterprises (by the way, I am not the defender of BREDCO nor do I have any connection with them; it just titillates me to twit government stupidity), Why don’t they just tow the Pulupandan port to Bacolod to save on cost? Now, if that is only possible so the mistake can be corrected. And where was the stupid NEDA (National Economic Development Authority) in all of this when it should have checked well the validity of government projects? Will the proponents and validators of the Pulupandan port project willing to have their necks garrotted? Now imagine another regional port in Bacolod costing about a billion pesos to build including land to be purchased just to make up for the Pulupundan error and compete with BREDCO! When one Negros Occidental congressmen questioned that project, the main proponent which is one of the richest men in Congress simply said he will try to have a similar port in another congressional district north of Bacolod and the congressman which questioned was mollified. Well, with “solons” like this maybe it is high time we close Congress and better just save the money. And that is the P700-million peso Pulupandan mistake which they will try to remedy by throwing good money after bad.